This organizational assessment tool has been designed for leaders who's top priority is to get the best out of their people. They deeply believe that the success of their business is directly related to the excitement and sense of possibility that each individual feels when they come to work in the morning. 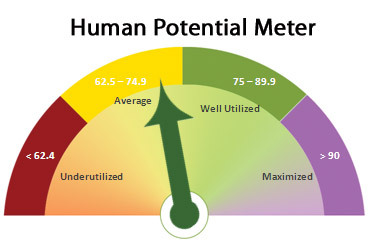 The Human Potential Assessment Tool will accurately assess the amount of passion that is alive in an organization and give clear, actionable recommendations on how it can step even further into its fullest potential. How is it different from other Organizational Assessment surveys? As these attitudes or mindsets become part of the day-to-day practice of an organization, people start to experience a greater sense of fulfillment and meaning in their work. They will have more clarity on who they are and how their work contributes to the bigger mission of the organization (BEING Aware). They will be able to access new inspiration (BEING Inspiration) and feel supported in bring their ideas to life (BEING Abundant) in service of a greater good (BEING in Service). We refer to this hightened experience as the 4 BEING States, represented in the middle part of the iceberg. 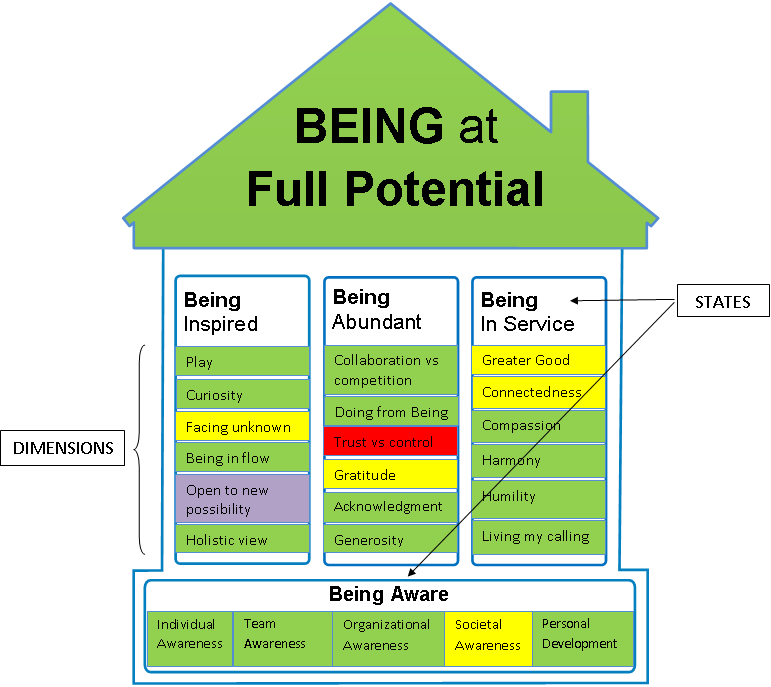 More details of the BEING States are available in the "HOUSE" framework below. Finally, at the top of the iceberg we have the measures that we are most accustomed to in the organzational context. We refer to these as OPM's (organizational performance metrics). The more we focus on the bottom 2 layers of the iceberg, in order to create optimal conditions for Human Potential to be expressed, the more likely we will see dramatic improvements in areas such as Employee Engagement, Inventiveness, Customer Orientation, Trustworthiness and ultimately Bottom Line Results.